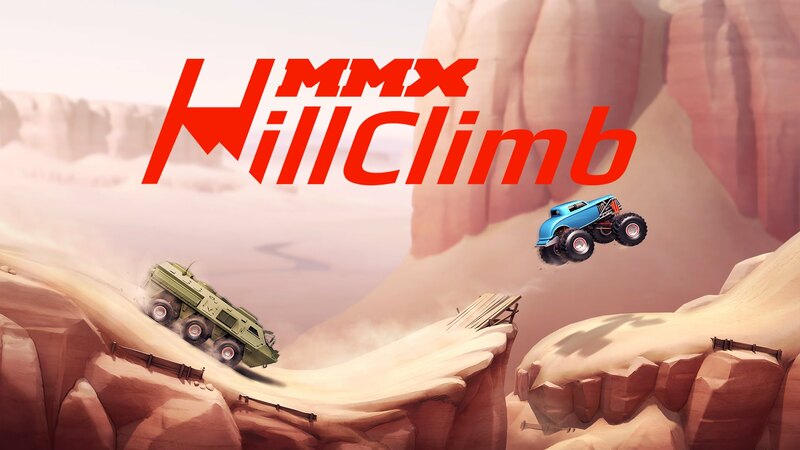 MMX Hill Climb from Hutch Games is physics based racing, and as you might expect it’s quite challenging, frustrating yet will have you coming back for more. This is the developer’s follow up to MMX Racing, and this time you can race uphill on trucks, tanks, Monster trucks and more. Whichever vehicle you choose the controls are the same: at the bottom left of the screen is the brake and on the right is gas. Once the game starts, you use these to control the movement of your vehicle as you try to get it uphill and onto other trails. What makes MMX Hill Climb different from others is its emphasis on physics. You need to be careful when tapping the gas so momentum doesn’t cause you to topple over. It gets even more challenging is you’ll be racing on different tracks like deserts, snow, cities and each one has its own unique challenge. While the game controls are simple and should be familiar if you’ve played physics based titles before, it’s the graphics and vehicles that set MMX Hill Climb apart. The game doesn’t just look good, but the selection of vehicles is vast as well. Whether you’re into muscle cars, rigs or something else, there’s bound to be one here you’ll like, and part of the fun is trying to keep them balanced. Challenging yes, but it’s not impossible and there are pickups scattered nicely throughout the game so it doesn’t feel like you’re being cheated. If you enjoy physics based games, MMX Hill Climb will be right your alley.